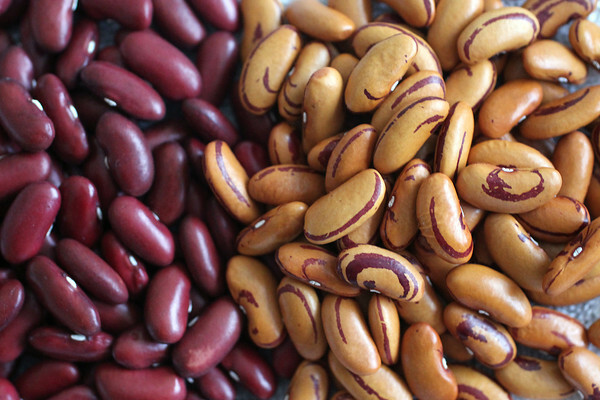 Charlevoix Dark Red Kidney, left, and Tiger Eye beans from the collection of Mike Kiessel (cq). He estimates that he has about 200 different varieties of tomato seeds, but only grows about 105 on his farm. He also said he has about 15 different beans, 60 types of watermelon, 20 varieties of peppers and 30 types of squash.